Rated 4 out of 5 by Sandhiller from Very reliable This is our second one and no problems with either one. Rated 5 out of 5 by raysir from So far so good So far it has been outstanding a lot quieter than I expected for a 36000 KW. Looks great also. JUST WAITING FOR THE HURRICANES.!!! Rated 4 out of 5 by Relieved from The product has great features. The product is easy and effortless to use. It will automatically kick in when the power goes out. I don't have to worry about my food in fridge or freezer if I'm not home. I no longer have run out and hook up my gas generator for power. Rated 5 out of 5 by Mack from Works when you need it to! I bought this generator to be installed along side a new 3800+ sq ft home in a rural area of Florida. 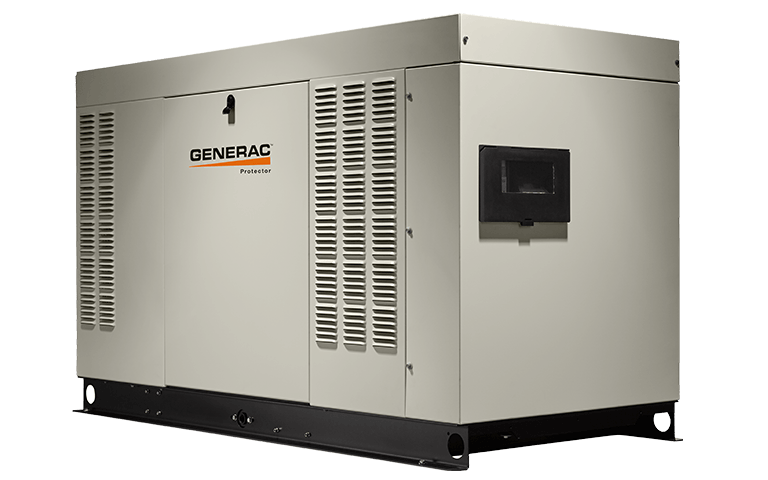 I researched quite a few options before ultimately deciding on Generac for the value, reputation, and dealer network. The installation wasn't overly complicated for my electrician or propane company to tackle, albeit it did take quite a bit of work moving it into position. My wife and I moved into our house shortly before hurricane season, when the West Coast of Florida was hit with Hurrican Irma. Needless to say the money spent on this generator was well worth it. Our area was without utility power for nearly 4 days (short compared to others) and the generator started up, transferred power, and ran flawlessly for all of them, stopping only so that I could service it and check it over. The only complaint (and It's really not even that) is that this generator seems a little louder than I was expecting, although still quieter than a larger portable gas unit would be. I think this is partially just my perception since the engine runs at 3600 rpm constantly. In hindsight I may have gone with a Quietsource series from Generac since they are engineered to run at 1800 rpm, spec sheets don't show that much of a reduction in DB levels though. Overall I am very pleased with this generator so far, hopefully we will get many years of service from it! Rated 5 out of 5 by Tim from The unit was the right size for our needs. The unit was just installed and we have not experienced a power outage yet so it is too early for a complete review. The appearance is good and the size of the motor with the switching system was the best fit for our home so I am happy with the features and the value we received for the price. Rated 5 out of 5 by Drew60 from Ready to use! We hope we won’t need it, but if we do we’re ready for bad weather. Rated 5 out of 5 by RICK from Its big Got the36,000 KW because I have a all electric home with heat pump and back up furnace .I ll know more when the power goes off and I'm sure it will . 36kW-RG036 is rated 4.9 out of 5 by 14.